The short answer to the question in the title is very clearly Yes. The reason why the answer is yes requires a somewhat detailed explanation. This post was triggered by an event this week that shows that Google, too, may be concerned that it knows too much. Google’s mission, as currently stated on its website, is to organize the world’s information and make it universally accessible and useful. That bold, simple statement might sound laudable at first sight. However, as we shall see it raises some very difficult questions. they collect information to provide better services to all users – from figuring out basic stuff like which language you speak, to more complex things like which ads you’ll find most useful or the people who matter most to you online. they use the information they collect from all of their services to provide, maintain, protect and improve them, to develop new ones, and to protect Google and its users. They also use this information to offer users tailored content – like giving more relevant search results and ads. They note that they may use the name you provide for your Google Profile across all of the services they offer that require a Google Account. In addition, they may replace past names associated with your Google Account so that you are represented consistently across all their services. If other users already have your email, or other information that identifies you, they may show them your publicly visible Google Profile information, such as your name and photo. We will share personal information with companies, organizations or individuals outside of Google when we have your consent to do so. We require opt-in consent for the sharing of any sensitive personal information relating to confidential medical facts, racial or ethnic origins, political or religious beliefs or sexuality. That’s all pretty weighty stuff but bear in mind that Google’s Search process is continually evolving and improving. The Google InsideSearch blog provides a pretty good record of what is being achieved. Consider a recent post announcing a multi-screen and conversational search experience. In it they announce improvements to the Knowledge Graph. “We announced the Knowledge Graph – our map of real-world people, places and things – less than a year ago and since then have been adding more depth. Depending on what they surface on those real world people, those bold words could either give you a sense of elation or a major panic attack. Perhaps we should at this time back up and answer this fundamental question. Google is clearly a major corporation which is highly successful and develops major revenues from advertising built around its core search activity. Google is also a huge human enterprise which includes some very bright people. However when you use Google to find information, you are using a different version of Google. Now you are dealing with computer-based software and enormous databases held on a huge world system of servers. The answer you get is determined by that software. There is no human intervention involved. One hopes that the engineers who put the system together have done their work well, although we know there are a never-ending series of improvements and revisions every year to attempt to provide better answers. As many people can attest, occasionally it produces very peculiar results which are often corrected very promptly. No one can really predict what the current version of the software will produce for any given query since the software and those huge databases are in continual flux. This is the Google we are dealing with when we come to what Google knows or does not know about us. To simplify the following explanation, I will use Google to denote the Corporation and its human team. As a shorthand for the software Google, I will call this Goggle. If Goggle does make a mistake, then this immediately appears on the Internet. As so many people know, it can often be very difficult to remove what is on the Internet since others may spot it and copy or download the offending item. In some cases, cached versions are available long after the original has been removed. The information is almost as permanent as if it was carved in stone. It is not too fanciful to suggest that Google has created a Pandora’s Box in creating its Goggle entity. A Pandora’s Box is based on an old Greek story in which a woman named Pandora opened a box containing all the troubles the world has experienced. In other words opening a Pandora’s Box means to start something that causes many new and unexpected problems. You may not know what Goggle has on you but equally Google does not know what Goggle knows about you. This week Google blinked and realized what problems Goggle might create. It blocked the application of one Goggle process on one of Google’s favorite projects. Concerns had already been expressed on how Google Glass and facial recognition technology could affect individuals’ privacy. Now Google has announced that it will block all facial recognition software on Glass until privacy issues are addressed. Where Does Google Draw The Line On Privacy? The short answer here is that Google does not draw the line. If you have a Google account and have used some of its services, then Goggle may have created a whole library of information about you. There is no easy way for you to check what Goggle may have on you nor to correct whatever errors Goggle may have generated in creating this library. Google clearly is a powerful agent in the world of information. It is very unclear how Google could rein in Goggle given its stated mission. 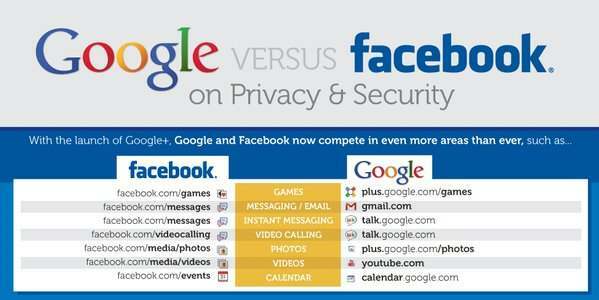 Conversely it is very unclear how any individual could really protect themselves from Goggle with absolute certainty. It would seem to be a stalemate position. Wow, this is a wake-up call! Thanks for sharing this important information!